By writers, for writers. A production of Clemson Road Creative. Write On SC is 30+ episodes celebrating South Carolina writers, the craft, and the literary journey of fiction writers, poets, memoirists, and novices. Write On SC is a weekly broadcast on a local talk radio station in Columbia, S.C. that is simultaneously streamed on the internet. On the show, we explore the writing craft: brainstorming, process, publishing, and sales. We interview SC authors with books to sell and SC writers with ideas to work up into stories. Some of our featured interviews include: Tim Conroy (poet), Cassie Premo Steele (poet & novelist), Al Black (poet & community organizer), Savannah Frierson (romance novelist), and Peggy Cwiakala (mystery writer). Led by Dr. Kasie Whitener, a professional writer and University of South Carolina instructor, and co-hosted by Rex Hurst, horror writer and English instructor, the show promotes SC writers and fills a gap in writer education in this state: weekly writing craft workshops. We are Pat Conroy’s legacy, home to Sue Monk Kidd and Ron Rash, we are a state with stories that need to be told. 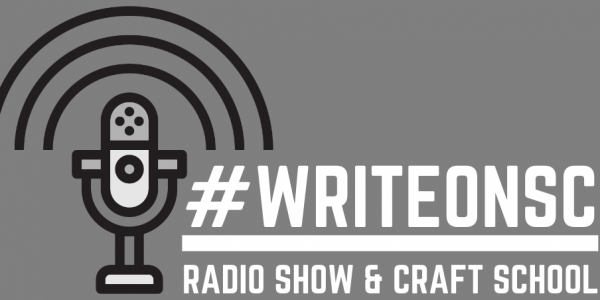 #WriteOnSC is a show to develop and showcase South Carolina authors. Go to Patreon.com/WriteOnSC to become a patron.